In life we need to have a game plan, make sure you invite God to be a part of the plan, or otherwise, your ideas might not go as you hoped them to go! Here are some encouraging scriptures about making a game plan. 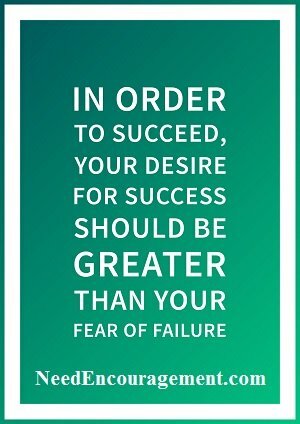 Work Your Game Plan One Step At A Time! Without a game plan, you will end up somewhere, but not where you hoped! 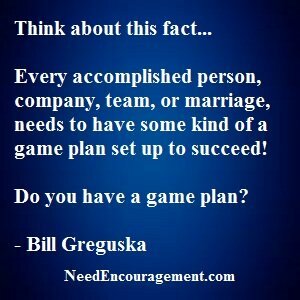 No matter what kind of sports team you are on, to be successful you need to have a game plan. That same strategy applies to life too! If you have a good game plan, you are on your way to living your life to the fullest. On this page, you will find some practical ideas to follow which all begin with pursuing a personal relationship with God and having God direct your steps in life. If you do not have a personal game plan set up as of now, make it your goal to get one started. Do you have a plan for your salvation? Game Plan To Find Happiness And Joy In Life! Try to Smile More ~ Smiling can make us feel better, but it’s more effective when we back it up with positive thoughts. A smile is also an excellent way to reduce some of the pain we feel in troubling circumstances. Exercise at least for 5- 10 Minutes Each Day (at least do some walking) ~ If you think that training is something you don’t have time for? Think again. Even 5-10 minutes of exercise has such a profound effect on our happiness and well-being that it is an effective strategy for life and also in overcoming depression. Get Enough Sleep and Rest ~ We know that sleep helps our bodies recover from the day and repair itself and that it helps us focus and be more productive. It turns out sleep is also essential for happiness. Spend More Time With Friends and Family ~ “We are happy when we have family and or friends in your life knowing that someone cares about you and that you can also care about them too is priceless. Additional Ideas For Developing A Good Game Plan! 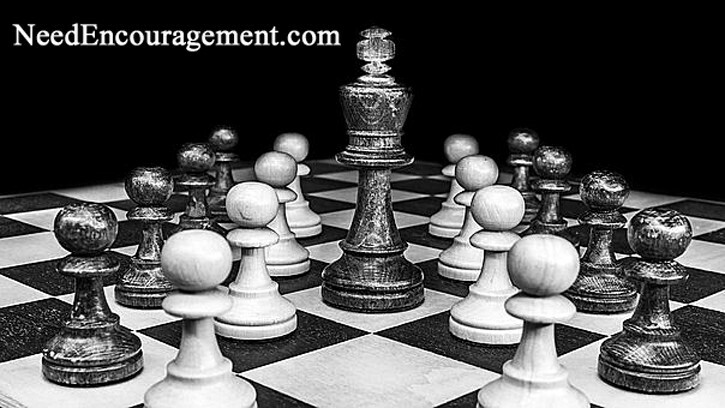 With a good game plan set up, you will be well on your way. But be sure to include God in your game plan. Be Proactive ~ Being pro-active is good news for those of us who worry about fitting new habits into already busy schedules. Make plans for your life and try to do your best to stick to them. If you fall short, try and try again. Help Other People ~ One of the most exciting pieces of advice I found is that to make yourself feel happier; that you should help others. One hundred hours per year (or two hours per week) is the enormous amount of time we should dedicate to helping others to enrich both their lives and also your life. Pray and Meditate ~ Meditating on God’s word is like eating food, you first put the food in your mouth, chew it a little while, and then take it in. In the same way, reading the Bible works in a very similar way. Prayer is also a crucial habit for improving your focus in life as well as helping to keep you calm. It turns out it’s also obviously useful for developing peace of mind and a closer relationship with God. Practice Gratitude ~Practicing gratitude is a seemingly simple strategy, but one I’ve found it to make a massive difference to my outlook on life. There are lots of ways to practice gratitude, from keeping a journal of things you’re grateful for, sharing three good things that happen each day with a friend or your partner, and going out of your way to show gratitude when others help you.